Townson was a pilot and engineer in the early days of development of the autogyro in the USA. On July 30, 1937, aviation history was made Boulevard Airport in north east Philadelphia, and George Townson was there, Townson wasn't a casual observer; he was sitting in the tiny cockpit of the Herrick Convertaplane, anxiously, waiting to take off and perform the first ever mid-air conversion from airplane to a rotary wing aircraft. 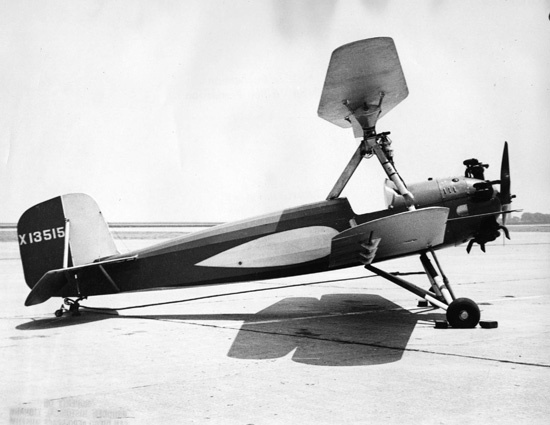 Although he was in New York on that historic day, the presence of Gerard Herrick, the designer of the airplane, was felt by Townson and chief engineer Ralph McClaren. The Convertaplane was Herrick's dream and obsession - his vision of the future of aviation. Herrick was from a wealthy family that owned extensive real estate in Manhattan. He was trained as an attorney, but became interested in aviation during World War I. Stationed in Europe, Herrick watched in horror as planes crashed into the ground, and decided to do something about it. He enrolled in some of the engineering courses taught by Alexander Klemin at New York University and began to hone his design for the Convertaplane. Eventually he put out bids to airplane companies to build his aircraft, and the Heath Airplane Company of Niles, Michigan won with a $1,500 bid.